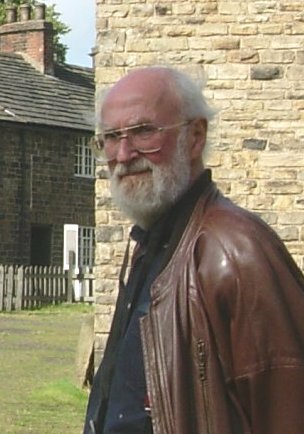 I was born in Yorkshire in 1944 and spent the next fifty years designing electronic widgets, from valve-based audio amplifiers to highly sensitive measurement tools, with a few years in telephone switching equipment along the way. I've written up some thoughts on how to design RC networks, how magnetrons work, and lots more besides. Engineering design is about being paid to solve complex puzzles. I rather enjoyed it. And yet ... now I have retired, I wonder sometimes how I ever found the time to go to work. The engineering puzzles that have interested me once I had time to think about them are just as complex, but seem deceptively simple. Why do plumbers use half-inch pipe? Why don't windmill sails look like aircraft wings? Life became much more interesting when I asked a more open-ended question: why did something happen? The answer was sometimes surprising, and led to some good stories you can find on the History page. Actually, I hated history at school. What on earth is the point of memorising dates that are only important to history teachers? But I have discovered the pleasure of digging up the details of some minor 19th century drama and observing how the people involved sorted it out. I found that these puzzles can be really fascinating, especially when an ancestor was involved. So this site is where Marion and I post the articles we've written, plus a couple of other odd bits and pieces. Use the 'Back' button or click here to return to the index on my home page. a post-script from Marion: John died in May 2016 so you can no longer ask him about his essays - which are still true, of course, because the laws of physics haven't changed, although much else has. For other queries, you can still ask Marion.